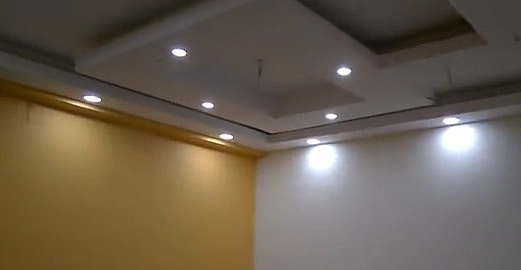 According to your requirements, we design and install ceilings on turnkey basis. At Klein we employ a new technology which will decrease up to 40% the cost with the materials. 1. 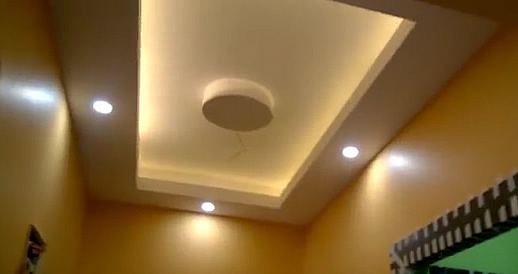 Measure and design the ceilings. 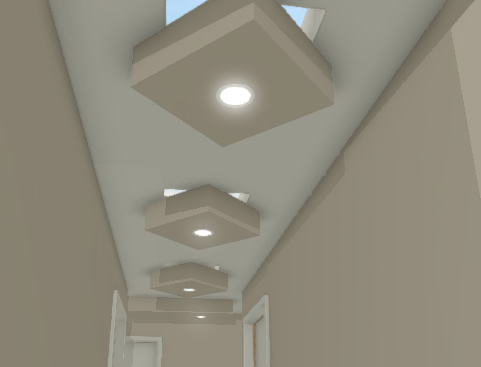 Below is a design example of combo skylight - dropped boxes and basic bulk heads (bulk heads are designed in a variety of shapes and forms for example with all round internal / external LED strings, downlights, waves, rounded etc.). 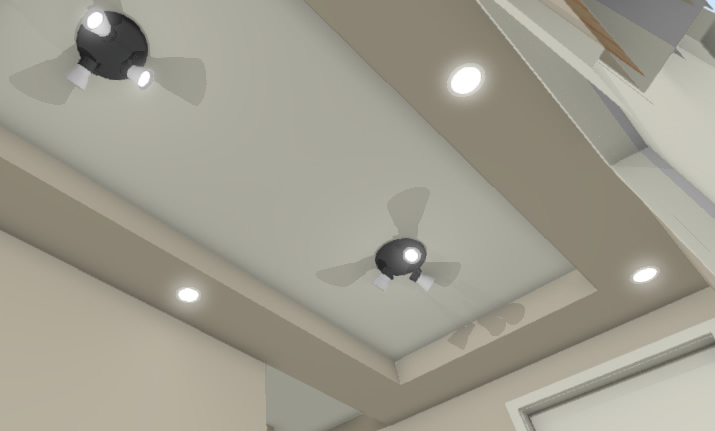 The design for each room and the computer generated proof files are optional and will cost from R500 per room function of the size of your rooms. 2. 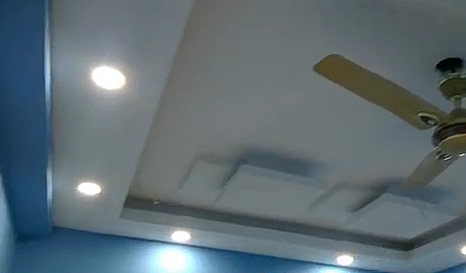 Prepare the structure of your ceilings and the gypsum boards. If your brandering is made from wood we will realign the ceilings and reinforce with steel to avoid deformations during the life span of your ceilings. 3. Installation of inhouse preabricated components and modules according to the design, saving you time and money. Followed by surface jointing. 4. Setting cables and lights according to your requirements. We also supply a wide range of downlights, appliances and LEDs at very competitive wholesale prices. We will test your current electrical wiring to support a wide combination of lights and LEDs configuration. Rewiring of your room when required will be done same time we'll install the bulk heads. As a bonus we can fully automate your lights using timers, day/night switches, full control from your mobile phone or voice control. 5. Finishing and painting. Function of requirements we will install cornices, crown moldings and other accessories. 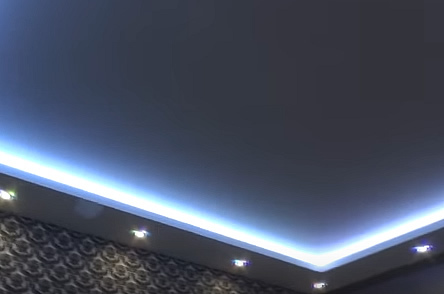 Below is a small video sample taken during one of our projects. Your browser does not support html5 video. Upgrade.